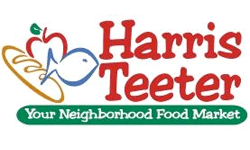 Here are all the deals and coupons for Harris Teeter starting on 10/24. I included super doubles pricing for those select few of you in some Charlotte, Nashville and Virginia who will are still enjoying Super Doubles on Wednesdays this October. Keep in mind that all stores aren’t participating so you may want to call before you shop. If you find any deals I missed, leave a note below!